Do you or someone you love sometimes struggle with communication, intimacy or trust? specific strategies and tools to improve yourself or your relationship. Welcome to Life Issues Counseling! 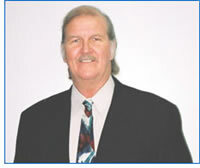 I'm Robert F. Smith, a licensed therapist and addictions counselor who wo rks with individuals, couples and families. My goal is to help people to move to the next level in their lives. E-mail Robert or call 484-686-4903 to set up a FREE, 15 minute initial phone consultation and see if Life Issues Counseling is the fit you've been looking for. I provide marriage counseling, premarital counseling, couples counseling, gblt counseling, ptsd, relationship advice, adolescent anxiety,as well as help with dating, love and communication.